ROBERT SCHEER covered presidential politics for the Los Angeles Times for thirty years. He is the author of six books, including Playing President: My Close Encounters with Nixon, Carter, Bush I, Reagan, and Clinton—and How They Did Not Prepare Me for George W. Bush, With Enough Shovels: Reagan, Bush, and Nuclear War, and America after Nixon: The Age of the Multinationals, and coauthor of The Five Biggest Lies Bush Told Us about Iraq. He is a clinical professor of communications at the Annenberg School at the University of Southern California. Scheer is a nationally syndicated columnist, editor of Truthdig.com, a contributing editor of the Nation, and cohost of NPR-affiliate KCRW’s Left, Right, and Center. The Five Biggest Lies Bush Told Us About Iraq is the comprehensive source on the administration’s campaign of disinformation before, during, and after the second Gulf War. From the careful linking of Saddam Hussein with Al Qaeda, to the WMD canard, to the September 2003 damage-control sideshow, AlterNet.org’s Christopher Scheer and Lakshmi Chaudhry team up with renowned journalist Robert Scheer to take the full measure of official deception. They not only lied, the authors conclude; the pattern of obfuscation, misstatement, and half-retraction amounted to a devious entrapment of the American people. The Five Biggest Lies Bush Told Us About Iraq offers the first analysis of this pattern, underscoring that the lying was highly managed. The public did not commit troops, and dollars, to the invasion acting on the best information its government could provide. Instead, we fell victim to a marketing campaign conducted by a small group of influential radicals inside the Bush administration, who were pursuing their own narrow, hubristic agenda. 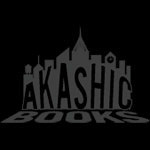 A co-publication of Akashic Books and Seven Stories Press in cooperation with AlterNet.org.